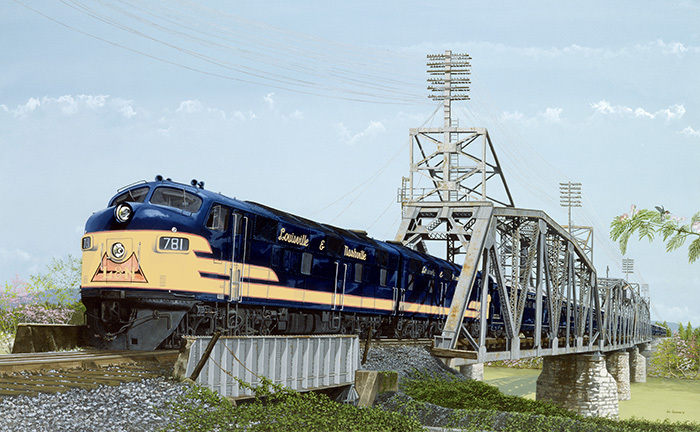 In the 1940s, L & N desired new passenger train service with all new equipment to operate over the lines between New Orleans and Cincinnati. The order was set, but as circumstances of the world were at that time, the American Car and Foundry in St. Louis delayed delivery of its spanking new blue and imitation gold “baby” until 1946. 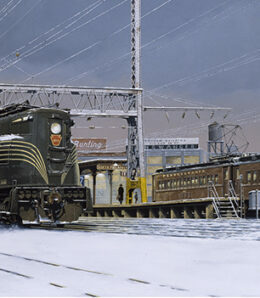 She became the first post-World War II streamlined passenger train, sporting seven cars: five coaches, a lounge, and a dining car. She was to travel light – no baggage, carrying families and businessmen between Cincinnati and New Orleans through the Birmingham and Nashville routes. Before this new L & N addition was allowed to take her “first steps” away from home, she needed a name. 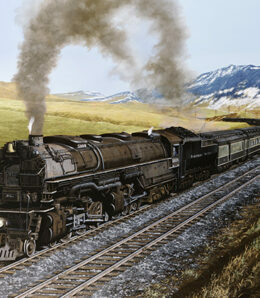 Thus a “Name the Train” publicity contest was announced in March, 1946. The three best entries would win a total of $1750.00 in cash prizes. Over 292,000 entries (with 25 words of less descriptions) were submitted by May 4 and the contest was closed. A total of 671 “Hummingbird” submissions were sent in, but the judges chose the description of Versil S. Crenshaw of Nashville as the winner. Runner up names chosen were the “Magnolian” and the “Thoroughbred.” An eight-day publicity tour through all the major cities, hosted by Hollywood actress Jane Withers, helped to make “The Bird” a popular mode of transportation. The “Birds” carried local businessmen, inner-city traffic, families and students destined for such places as Vanderbilt University in Nashville and the University of West Kentucky in Bowling Green. 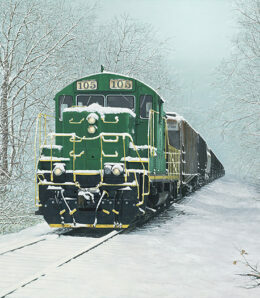 Passengers could enjoy the services afforded during its fast trips across the Ohio Valley down to the Gulf. One might order a full-course meal in the “Fiesta Inn” diner or enjoy a cool glass of orange juice in the “Carnival Club” lounge. The “Birds” had their 10th birthday celebration on November 17, 1956 with free birthday cake served in the dining car and decks of cards with the “Hummingbird” image given to all passengers. By this time the “Birds” had grown to include streamlined coach sleepers. A year later, trying to boost flagging revenues, she began carrying railway mail for the post office. Despite her streamline equipment, by the late 60s the “Bird” was unable to keep up with the swelling tide of passenger transportation needs. 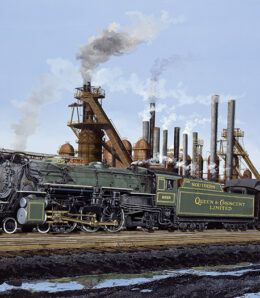 On January 9, 1969 the “Hummingbird” took her final steps on the rail, after a rewarding 22 year stint of passenger service. This rendering of the “Hummingbird” is caught as she is crossing over the Cumberland River Drawbridge in Nashville, Tennessee.